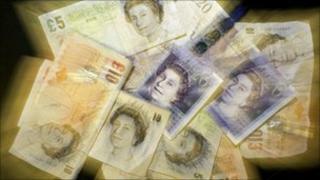 The pay received by chief executives of the companies listed in the FTSE 100 rose 55% this year, a survey has found. Bosses earned an average £4.9m ($7.8m) each in the 12 months to June this year, up 34%, as bonuses returned to pre-crisis levels, according to research by Thomson Reuters. Basic pay rose just 3.6%, but earnings were topped up by bigger bonuses and other incentives, the report said. It confirms the findings of a report by accountants Deloitte Touche last month. Across the broader FTSE 350 index of company stocks, the highest individual earner was Bart Becht, of household goods company Reckitt Benckiser, who received £92.6m. The report by Income Data Services, a unit of Thomson Reuters, said shareholders were likely to be annoyed by what it called the "business as usual" approach to executive pay, after only a short period of restraint during the economic downturn.